Gretta and her boyfriend move to New York to launch Dave’s music career – he skyrockets to fame and leaves Gretta behind. She meets Dan. He’s a music producer who’s founded an independent record label. They team up, put together a band, and record Gretta’s album – an outdoor album. Will Gretta’s own musical experience bring her back to Dave, or will she strike out on her own? 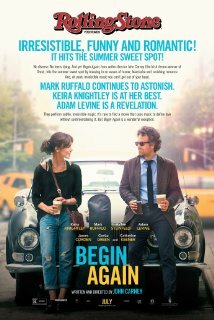 This film generally has a good vibe – that is if you don’t mind Keira Knightly, or the fantastical idea that songs can be recorded quite so easily and so quickly. Some film reviewers comment on the film’s realism – they’ve obviously never worked in the music industry! Realism aside, I like the romance angle. I also think there are great performances throughout. It’s light, yet passionate. It’s fun, yet moving. This isn’t a stand out flick for me because there’s not quite enough comedic content, but it’s still a good movie and worth seeing. An astroid is set to destroy earth in three weeks. People leave their homes to start pilgrimages, others try something new, some abandon reason, until eventually chaos takes over New York city. Dodge (played by Carell) meets a woman in his building and together they escape the rioting. Dodge sets out to find his high school girlfriend, and he agrees to help Penny (Knightley) get a flight home to England along the way. They have adventures and new experiences, and eventually fall in love. This film is billed as a romantic drama. I think, however, that with Carell in top spot, it is also a romantic comedy. 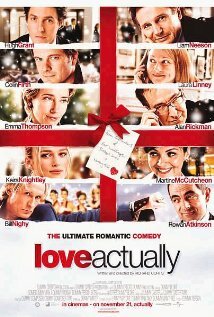 It contains a lot of rom com elements, like boy meets girl etc, and some subtle comic relief with the rather dry Carell. People talk about this being an armageddon movie, but I think it is slightly tongue in cheek about the end of the world – it is a backdrop for the romance, for the exploration of human relationships. I’m not a huge fan of Keira Knightley in rom coms, (other than Bend it Like Beckham) much preferring her in period films, actions and drama. In fact, she annoyed me in Love Actually and I’m glad she’s not been in a rom com since then. 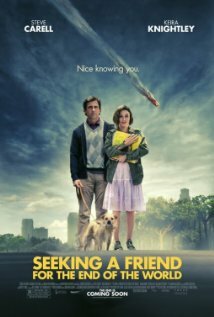 Nevertheless, this is a pretty good film – there are funny moments, and touching moments. It has a lot of heart, and intimate detail given to characters. Worth a watch.